We all want to start the New Year with a great look, and great hair. The reality, however, is that most of us are still struggling to fix the damage we caused over the festive season. Whether it’s chlorine and sea water, heat styling or just general negligence, the majority of us start the new year wishing we’d taken better care of our tresses the year before. This year, we’re taking on a new challenge: to make 2014 our best hair year yet. But we’re not attempting it alone ­– we’ve compiled some hair resolutions so that you can do the same. Follow these steps and say goodbye to good hair, and hello to great hair, every day. No matter how well you look after your hair, there’s nothing like a regular trim to prevent split ends and keep the shape of your style. Even if you’re growing your hair, be sure to visit your hairdresser for a trim every six to eight weeks. Let’s face it – there’s nothing like colour re-growth to spoil a great hairstyle. If you’re colouring your hair, be sure to touch up the roots every four to six weeks. 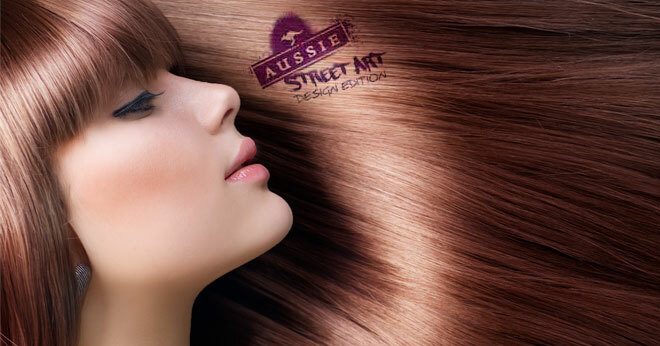 If it’s not manageable, opt for a semi-permanent colour, or go au naturel instead. Ideally, you should be conditioning your hair after every wash and apply a treatment or hair mask once a week. It might seem like an unnecessary step, but a weekly treatment can make a big difference to the condition of your hair. Not only do they offer deep conditioning benefits, but they can also treat and prevent a host of problems such as frizz, colour fade and breakage. We suggest you try the Aussie Three Minute Miracle Reconstructor Conditioner, R84.99. Perfectly curled or straightened hair looks great, but you should never have to compromise the health of your hair for a style you love. Apply a heat protector spray before styling, and keep your styling time and frequency to a minimum. Ensure you eat lots of fruit and veggies, and that you get your daily dose of healthy oils (think along the lines of avocados, nuts and fish). Not only will you feel great, but the vitamins and minerals will leave your hair healthy and shiny too. It’s easy to stick to as style you know, but the start of a new year is a great time to try something different. Seen a new hair colour or cut you love? Take the plunge! A little bit of courage is all it takes, and a different look will have you feeling brand new. Do you have any hair resolutions of your own? Share them with us in the comments section below, or tweet us using the hashtag #AussieStreetArt. Hi Eden. It depends on the condition of your hair and the strength of the hair mask. One thing to be careful of is too much product build up, so perhaps if you feel like your hair is weighed down, perhaps bring a clarifying shampoo into your routine to remove excess build up. Great tips right there. I don’t have time to apply hair masks and sit over the sink waiting for the product to work its magic (normally most hair masks require 5-15 minutes) so I just towel dry my hair, apply the hair mask and twist it in a bun, then use cling wrap around my head. I can then still go around the house doing chores and rinse my hair when the time is up. This is usually a routine I do once a week and I’ve managed to keep my hair super shiny and healthy as a result of this habit. My hair gets treatment every week I know it is important as styling tools take their toll on my hair and it breaks. I believe the best tip for mermaid-hair is regular trims and the Aussie treatment! I air dry most of the time and only let out that hair dryer and iron when absolutely necessary. I will do all these things, My hair has been put through so much, I think it is about time i look after it. Trimming my hair once every two months works for me. I like letting my hair air-dry for as long as possible before heat styling it. I feel like this lessens the damage. Drinking lots of water also seem to have a positive effect on one’s hair ;-).